ROCHESTER, N.Y. (AP) — This may be the year that chalk makes its mark on the National Toy Hall of Fame, or American Girl outmuscles He-Man for a place of honor. But don’t count out Uno or Magic 8 Ball, which are also in the running, along with Chutes and Ladders, the Fisher-Price Corn Popper, pinball, the sled, tic-tac-toe, Tickle Me Elmo and Tudor Electric Football. The finalists for the hall of fame’s class of 2018 were announced Wednesday, chosen by staff from thousands of online nominations. This year, fans are invited to vote for their favorites through Sept. 19 as part of a “Player’s Choice” ballot . The top three vote-getters will be factored in with ballots cast by a selection committee made up of industry, education and community experts. 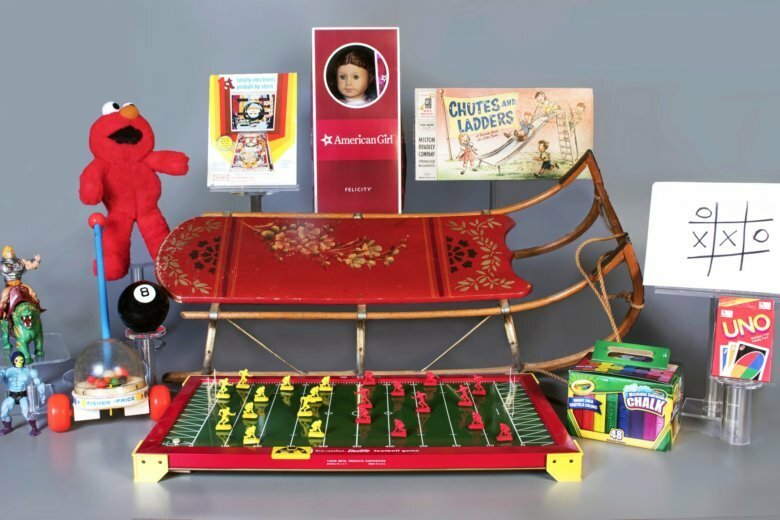 —American Girl Dolls: Created in 1986, each doll comes with a narrative that fits an era in America’s history. —Chalk: Traced by historians to the earliest people and times, it has yet to fall out of favor with artists. —Chutes and Ladders: Milton Bradley introduced the simple board game to American audiences in 1943. It is based on an ancient Indian game called snakes and ladders. —Fisher-Price Corn Popper: Babies have been honing their walking behind the device since 1957, watching colorful balls pop under a clear dome as they roll it. —Magic 8 Ball: Users pose questions and shake the cue ball, then wait for an answer to float to the surface. Millions have been sold since being introduced in 1946. —Masters of the Universe: He-Man and others in Mattel’s line of action figures have been doing battle in comic books, television and movies since the early 1980s, and have been featured on everything from toothbrushes to sleeping bags. —Pinball: The arcade games that have players use flippers to deflect steel balls through mazes grew from an 18th Century French table game called bagatelle. —Sled: Steel runner sleds have been popular since the 1800s, joined over the years by sleds made from new materials and designs. —Tic-Tac-Toe: The game of Xs and Os was one of the first to be programmed into a computer in 1952, making it one of the first video games. —Tickle Me Elmo: The 1996 Christmas must-have gave the favorite “Sesame Street” character technology to laugh and move when poked. —Tudor Electric Football: The toy where plastic players vibrate across a motorized field is celebrating its 70th anniversary this year. —Uno: The quick-playing card game has been a steady seller since it was created in 1971.